Event planning apps… You might have seen that most event planners use them. But why? Are they necessary? When do you need an event planning app? Let’s try to find answers to these emerging questions. Event planning apps – why you need them? The life of an event planner is full of challenges. From planning an event to handling the budget, from promoting it to getting attendees’ feedback – think, how much you can handle on your own? A handy event app helps to tackle all these varied tasks within the deadlines. With an app, you can set the tasks along with deadlines and simply work on them as the app reminds you. Event organizers usually work in teams with each team member being responsible for certain jobs. The success of the event depends on how well-coordinated the team members are as they need to work in tandem and complete all the tasks as per schedule. The event planning app can help you in coordination, sharing data, planning together and checking on the progress. Today, everything and everyone is online. People depend on their smartphones to schedule all their appointments and share information as well. It is also the best medium to promote any function using a social media. Thus, you can connect to your attendees through the event app, keep them posted about the latest information and make them excited to join you. In fact, any change in plan, venue or speakers can be effectively communicated with a few swipes or clicks. Who attends events? How many of the attendees you can retain? What do they feel about your event management skills? If you are into event management, these are the pertinent questions you have to keep on asking yourself. Of course, the easiest way to get the answers is through an event app. From tracking the attendees to getting their feedback and analyzing how many are attending your events repeatedly, event planning software helps you to optimize your efforts. It may indicate your success, let you know the areas where you need more focus and make your team put in more hard work. Getting attention and maintaining it, is one of the greatest challenges of modern times. With so many distractions around, how would you ensure that your target audience is taking note of your events and are interested to join you? Event apps play a key role here. 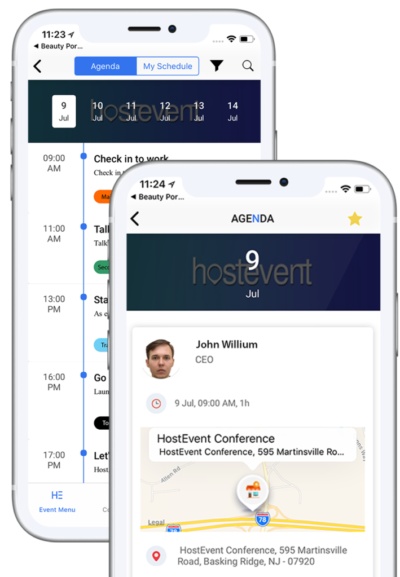 When you want to know the loyalty of your attendees or keep them engaged, turn to the event app. With an event planner, you can create a lot of buzz around your event and make everyone excited. Most event apps have their own networks and allow the members to share and comment on the events. This way, the potential attendees will remain engaged making conversions easier to happen. Talking about conversions, you need to make sure that you have high conversion rates. When planning the event, ask your team members to give their input on increasing conversions. Post interesting information about the event and topics that speakers would be covering to keep the attendees interested. With contests, custom goodies, and a good event hosting plan, you can surely attract more participants. Another area where event apps prove their advantage is monetizing the vendors and sponsors. They can connect with the attendees on a personal level with ads and offers and get a higher ROI from your event. You definitely need an event planning app when you want your event to be really beneficial to your attendees. You require it when your team needs the inspiration to achieve their targets. You can always depend on proper event apps to deliver desired results and that’s why they are so important.